Brown added that she wants to play a younger version of Princess/General Leia, founder and general of the Resistance—and now that she has planted it in our minds, Brown does look like a young Carrie Fisher. A standalone movie built around young Han Solo is already in the works, with Alden Ehrenreich set to play the iconic smuggler. It goes without saying that Disney should deliver the same attention to backstory for Leia, who is every bit as iconic and essential to the Star Wars canon as Han Solo. Padmé Amidala gave birth to Luke and Leia at the end of Star Wars: Episode III Revenge Of The Sith, and Leia went on to be adopted by Senator Bail Organa and his wife Queen Breha of Alderaan. Her life between then and Star Wars: A New Hope is unaccounted for in the movies, though there have been novels in the larger Star Wars canon that explore some of the character’s past that hasn’t made it to the big screen. In other words, Brown is ready to play young Leia, and the world is ready for a Leia-centric movie. And hey, putting things out there in the universe in the hopes that it will land you a Star Wars role is a pretty solid strategy: Donald Glover wore a Star Wars shirt in one of his high school yearbook photos, and now he’s playing a young Lando Calrissian in the Solo spinoff. 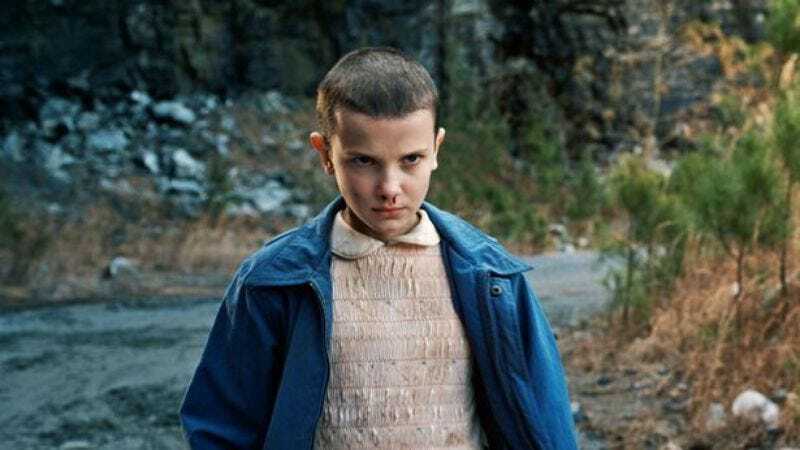 Meanwhile, Brown’s busy at work for Stranger Things, which is already in production for its second season, which has added Paul Reiser and Sean Astin.